If you’re interested in CPR training and BLS courses, you’re interested in saving lives. But did you know that in taking a CPR course that you’re actually a part of a long history of saving lives? 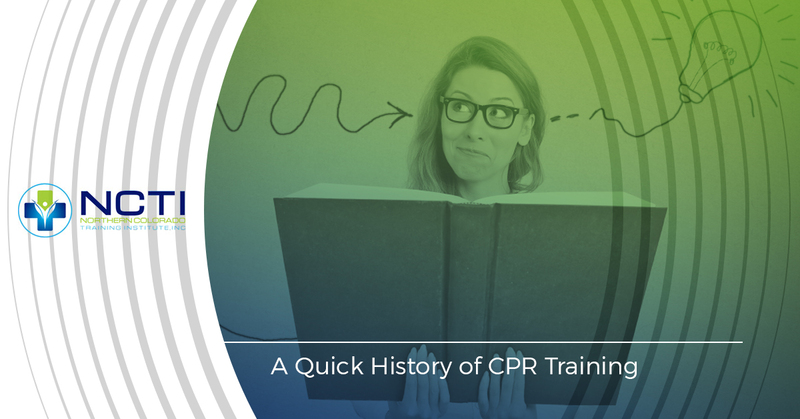 Let’s take a quick look at the history of CPR. While the most basic CPR of today prioritizes chest compressions over breathing, the earliest methods of CPR was about getting air into the body of drowning persons. This was a big deal in cities such as Amsterdam, which relied on canals to get around. As the dissection of cadavers became more acceptable and the basic workings of the cardiopulmonary system were sussed out, physicians of the time started to wonder if it were possible to force the blood through the body if the heart stopped. In 1904, a doctor named Friedrich Maass performed chest compressions, and soon after a doctor named George Crile had success with external chest compressions and closed-chest cardiac massage. But there were no studies on these techniques, so most doctors at the time considered them anecdotal. While the idea of forcing air into the lungs via mouth-to-mouth had been practiced since the 1700s, it wasn’t taken seriously until 1954 when Dr. James Elam proved that there was, in fact, enough oxygen in the respired air to help a person alive during the attempt to revive them. Once this was scientifically verified, more doctors took it seriously. Thanks to public health efforts and the Red Cross, rescue breathing entered the public consciousness. While the idea of compressing the area above the heart might seem obvious today, it wasn’t always so. Most doctors simply thought that the ribs preventing any possibility of facing enough blood through the heart in a manual way. That all changed in 1958 when three doctors at Johns Hopkins University. They were studying the heart, but were more interested in using electricity to get it moving again. But when they pressed on the heart with the pedals, they noticed that they were forcing blood through it and getting a pulse in the femoral artery, all without the need for electricity. The second half of CPR had arrived! Once the usefulness of chest compressions was verified, it didn’t take long to be combined with rescue breathing (mouth-to-mouth ventilation). By getting air into the lungs and then moving that oxygen through the body, anyone could buy the person time — whether they were a drowning victim or had suffered cardiac arrest — until a defibrillator could be used on them. Sign Up For CPR Classes Today! CPR training of today can be found in many places, such as schools and workplaces. But while the basics are nice to know, proper CPR training that has the highest possibility of success can only be found at institutes offering CPR classes like those at NCTI. If you’re ready to become CPR certified, we’re ready to teach you the best practices on the most up-to-date equipment available. Contact us today to find out when our next CPR courses are offered. Serving Northglenn, Westminster, Thornton, Brighton, Erie, Lafayette, Longmont, Loveland, Greeley, Fort Collins and surrounding areas in Northern Colorado. ©2018 Northern Colorado Training Institute Inc. - Do not copy. All rights reserved.